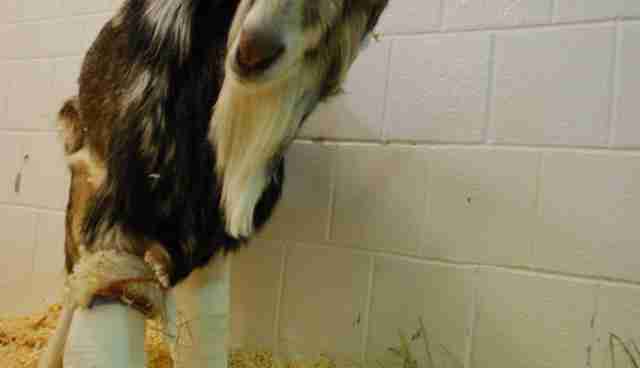 The world weighed so heavily upon this goat, it brought him at last to his knees. He suffered from foot and leg conditions that had gone untreated for so long, he spent most of his existence crawling around. Adding to his burden, his hooves had become agonizingly overgrown. 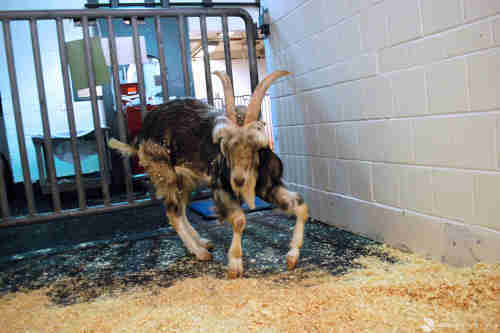 Staff at New York's Farm Sanctuary hauled him out of his hellish life on a Long Island farm. They named him Patrick. It was, after all, around St. Patrick's Day in 2013. And this feeble, broken-down goat would need all the Irish luck in the world. According to the group's blog, Patrick's previous owner deemed him "useless." 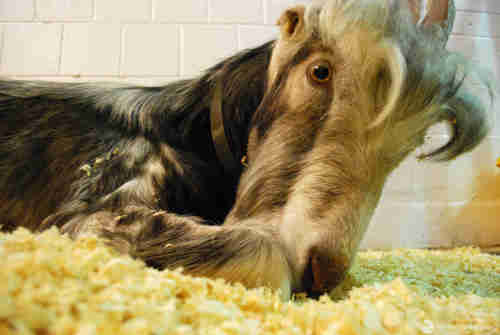 "At just a year old, he moved like an elderly goat crippled with arthritis," the group notes. 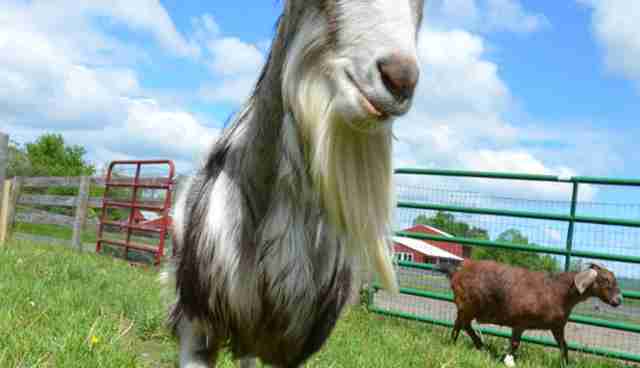 One day, a police officer happened upon Patrick and immediately called Farm Sanctuary. Patrick was taken away from his owner for good. Patrick had a congenital disease called caprine arthritic encephalitis (CAE) that, if left untreated, would have cut his life dramatically short. But with help from Cornell University Hospital for Animals, Patrick found his footing. Literally. Three years after his arrival, he no longer crawls. His health has improved, literally, by leaps and bounds. "Patrick is one of our most charismatic residents, and loves nothing more than clover-filled green pastures, the wind in his hair (which, over the three years we've known him, has undergone some serious changes), and the sun on his back," the group notes on its website. This week, Patrick celebrates his birthday. And we're thinking even a saint would raise a glass to his continued good health.